Note: From LibreOffice 4.2.5, the wildchard character sequence is . * (dot asterisk) instead of the plain * (asterisk) – 2014-06-04. A new patch of Autocorrect feature allows the text replacement before or after arbitrary affixes depending on the starting or ending wildcard character * in the Autocorrect Replace pattern. 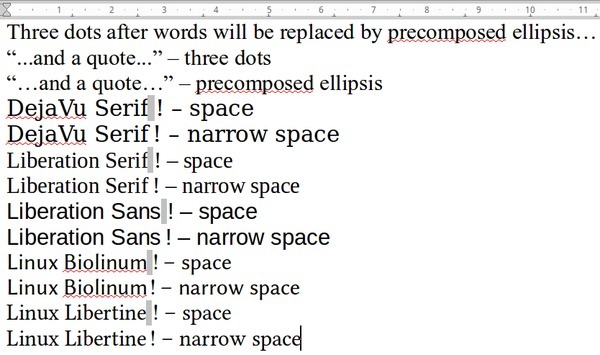 This is a small, but useful enhancement in word processing, especially for affix rich languages, but I will show a nice improvement for French typography, too, using this feature.